There are very few viruses for Linux, and there has never been a malware epidemic. However, if we use Linux as a file server for Windows systems, or just download Windows apps installers from Linux on a dual-boot system, a Linux virus scan will help us protect Windows. 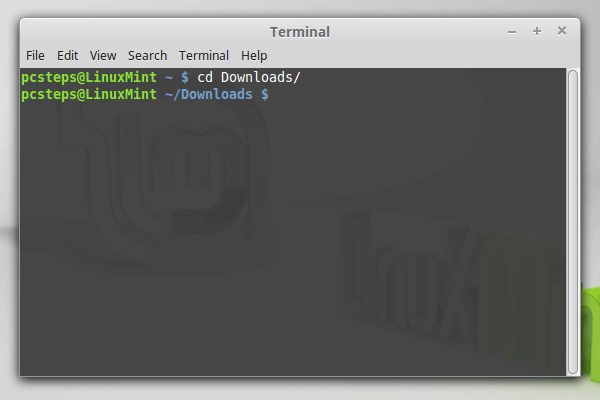 We have prepared this guide on Linux Mint 17.3 and Ubuntu 15.10. It should also work for recent earlier and future versions of the distributions, as well as distributions based on Ubuntu/Debian. 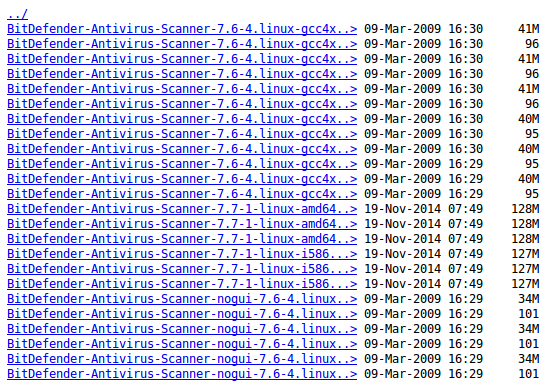 When is a Linux virus scan necessary? Did you have any problems with the Linux virus scan? In its history so far, Linux has never had a malware epidemic. Not because Linux is impervious to viruses; no operating system is. After all, Android is based on the Linux kernel, and there are several malware applications for Android. 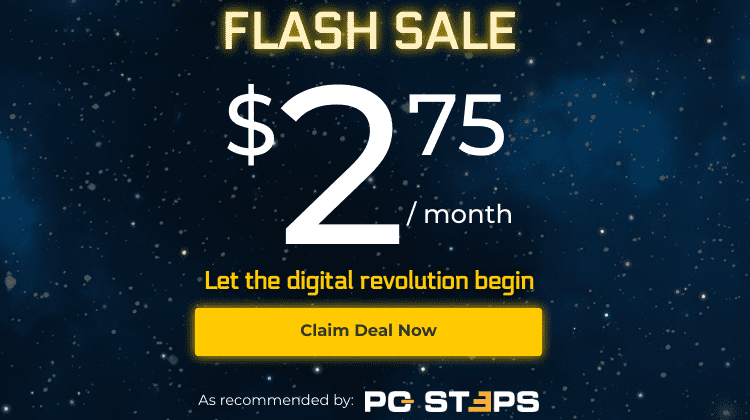 The fact is, the desktop Linux distributions just aren't widespread enough to become a primary target for malware creators. 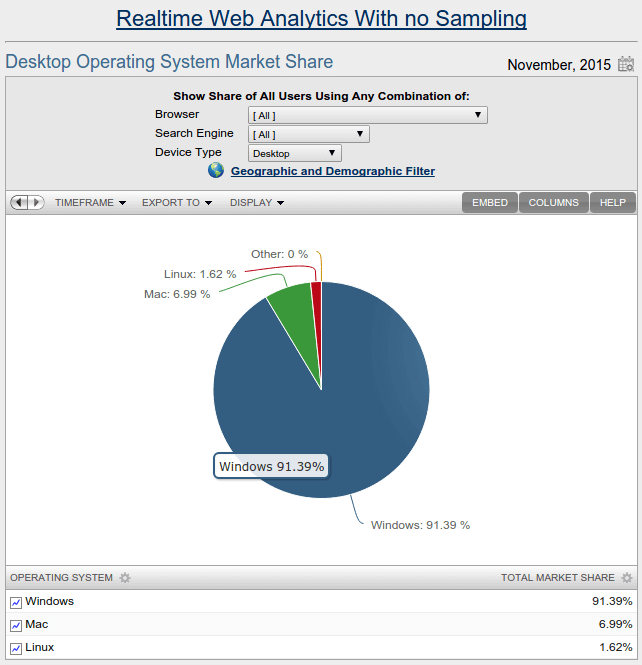 According to Netmarketshare, as of this writing Linux has a desktop operating system market share of just 1,61%, and even Mac OS X has less than 7%. Combine this with the safe practices that the OS employs, such as having most essential apps on the official Software manager and the fact that we need to enter the administrator password for any system-changing action, and Linux is as secure as it gets for an operating system. So, no, if we are among the minority of users that have Linux as our sole operating system, a Linux virus scan isn't necessary, and a real-time virus scanner would be little more than a waste of resources. 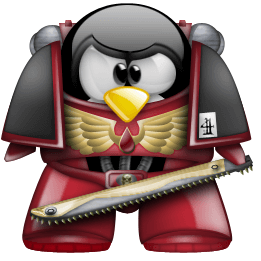 Then again, most of us who use Linux have it in a dual-boot configuration with Windows, and we often have a common partition for both operating systems. Downloading a Windows malware on Linux doesn't pose any danger for the OS because Windows malware can't run on Linux, by definition. If, however, we run this file on Windows, and the antivirus doesn't catch it, we can end up in serious trouble. Also, there is a theoretical possibility that a virus could be installed on Linux through Wine, the framework that allows the installation of several Windows programs in Linux. A ransomware run on Linux with Wine could theoretically pose the same danger for our files as a ransomware run on Windows. 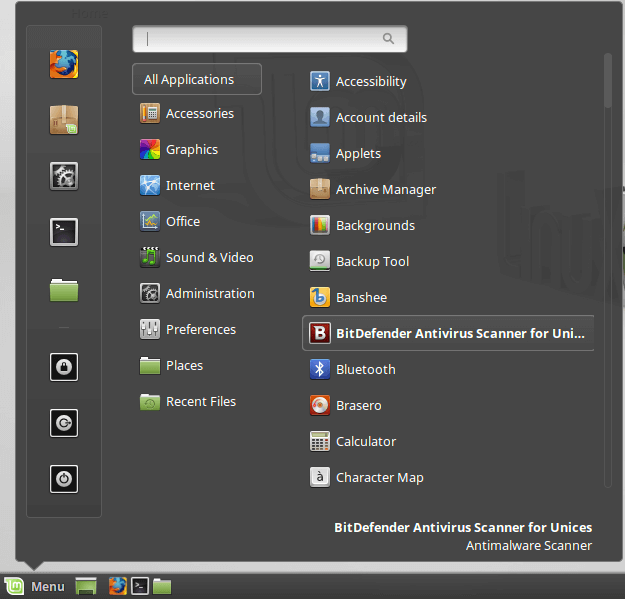 Bitdefender is one of the best-known antivirus companies, and their products have earned multiple awards for their security and performance, from independent labs such as AV Test and AV-Comparatives. 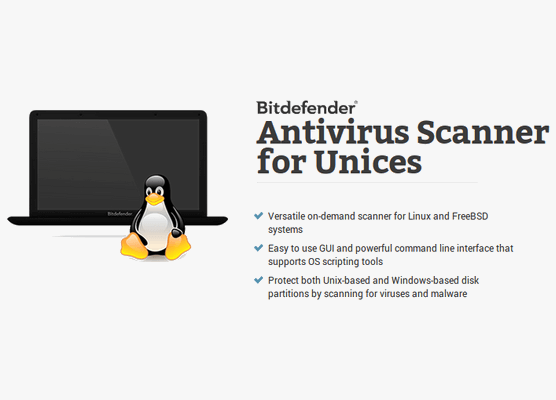 We have selected the Bitdefender for Unices scanner - "unices" is apparently the plural for "Unix" - to do a Linux virus scan. 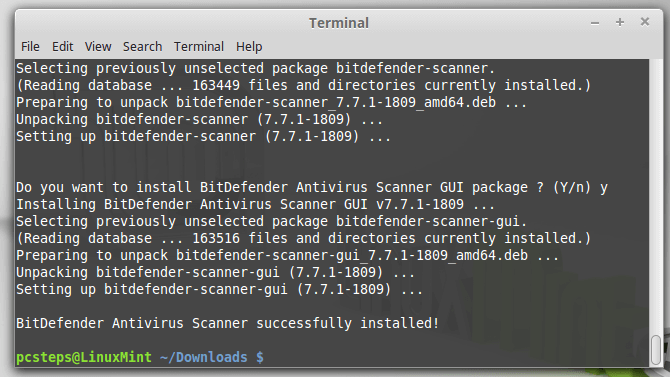 We have selected the Bitdefender Antivirus Scanner for Unices - which is apparently the plural for "Unix" - to do a Linux virus scan. 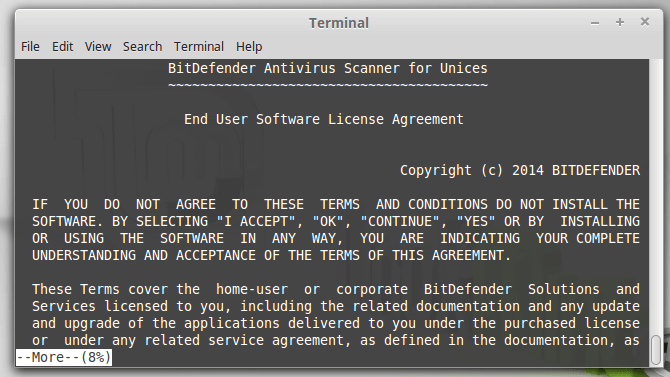 We just need to visit the Bitdefender for Unices homepage. We can either directly download it as a 30-day free trial, or request a free license. 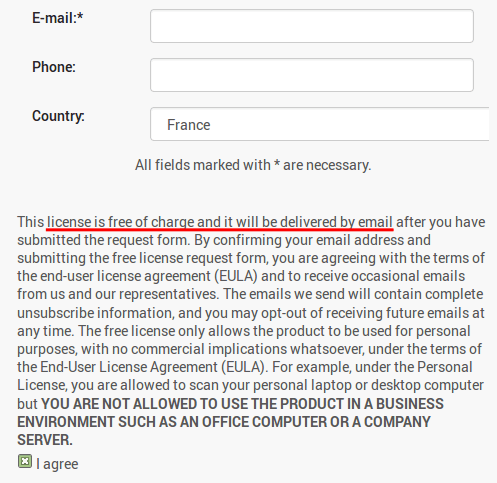 There is no catch about the free license, other that it can only be used at home, not at a professional environment or a server. 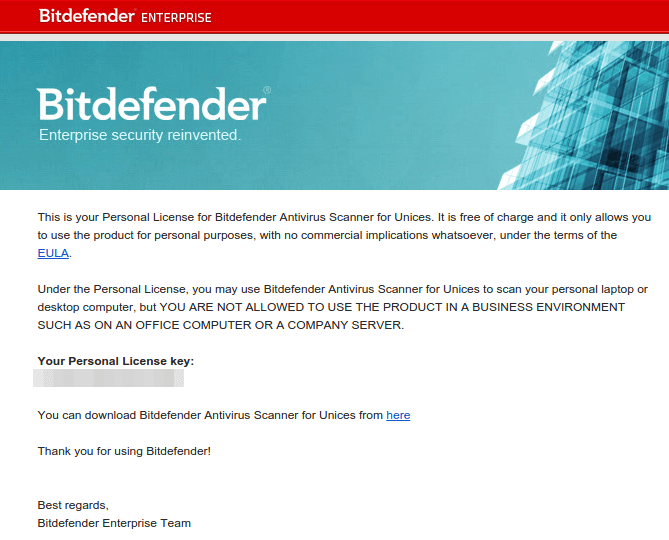 A couple of minutes later, we will get an email with our personal license key and a link to download the Bitdefender Antivirus Scanner for Unices. The link will lead to an FTP-like web directory, which unfortunately has truncated filenames. 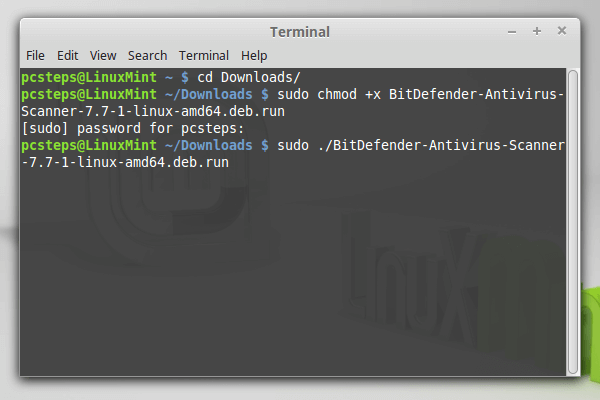 For 64-bit Ubuntu and Linux Mint installation, we will need the latest linux-amd64 link, which will download a deb.run file. 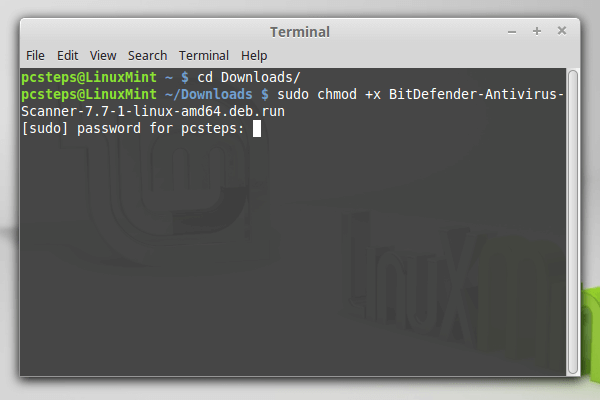 If this command doesn't work, it means that we didn't run the chmod command correctly. 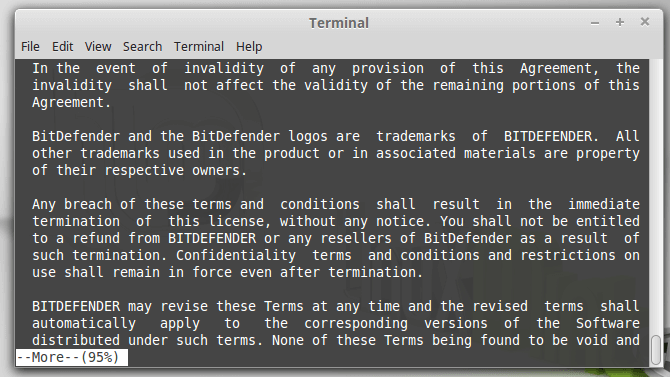 If we did everything right, we will get the BitDefender EULA. ...and then type "accept" and press enter to accept the EULA and proceed with the installation. 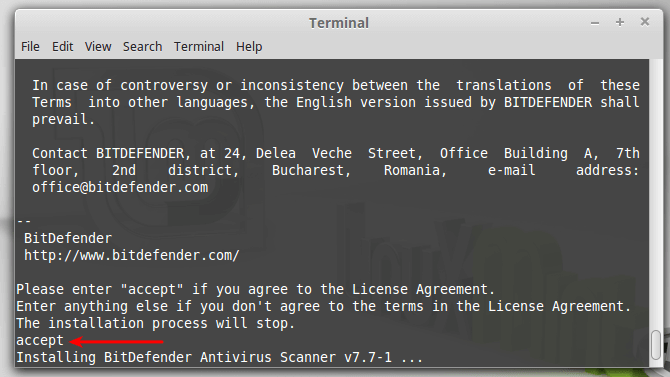 Finally, the installer will ask us if we want to install [the] BitDefender Antivirus Scanner GUI package. We press Y for "yes" and Enter. Soon after that, the installation is complete. This way, the Linux virus scan will run with administrative rights, and will be able to scan all of the system's folders. The first thing we need to do is run an update to download the latest malware definitions. Once the update is done, we can optionally check the settings. For example, we could choose a different log directory, in case our /home partition doesn't have enough space. 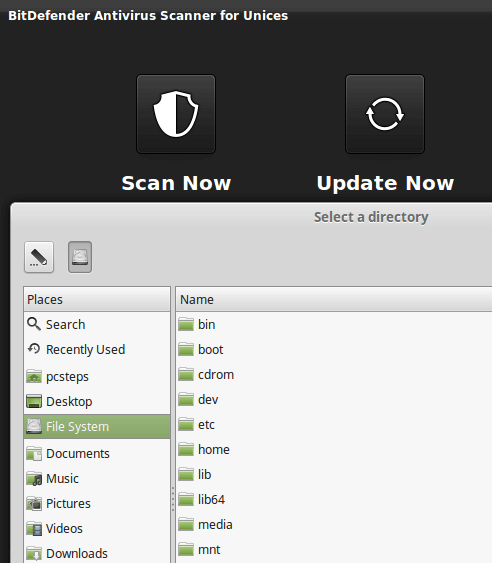 When we are ready to start the Linux virus scan, we click on "Scan Now" and select a directory. Selecting "File system" will scan everything on the PC, including any mounted disks and partition. Depending on the number of files, our CPU power, and the speed of our hard drive, the Linux virus scan can take a while, even more than an hour. Eventually, we will get the results. 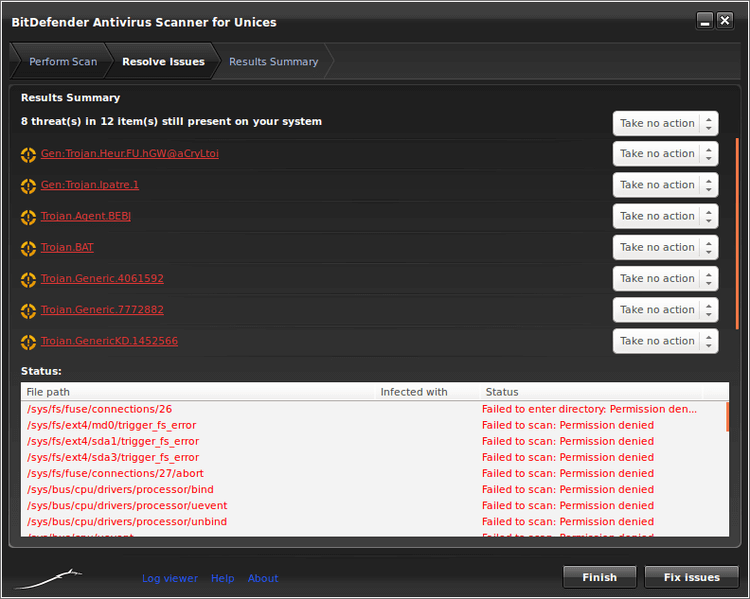 Even with administrative rights, Bitdefender Antivirus Scanner for Unices won't be able to enter specific directories. For each result, we can find its full path. 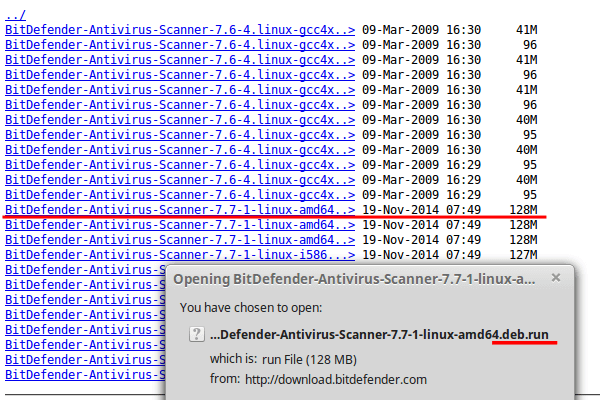 From the drop-down menus on the right, we select what we want Bitdefender to do with the infected files it found. And that's it. 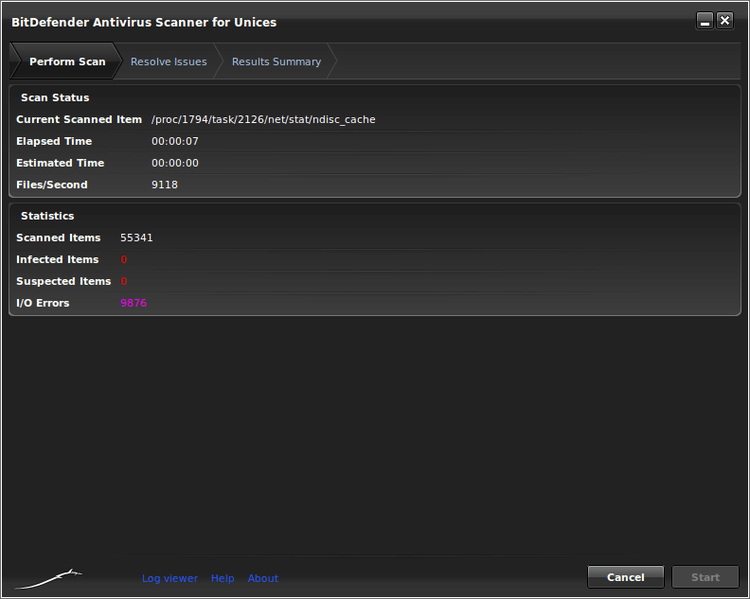 We have completed a Linux virus scan, securing our system from any Windows and rare Linux malware. 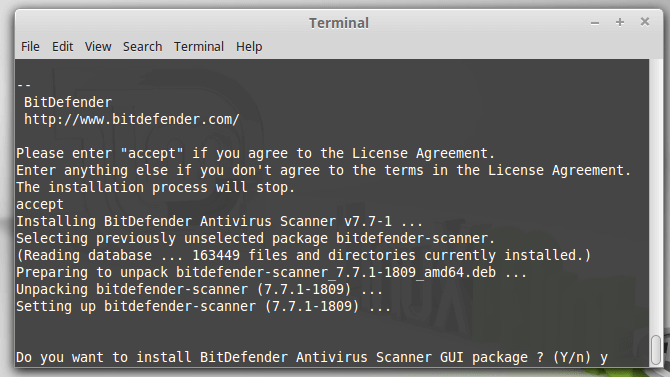 If anything on the guide didn't work as described, and you weren't able to do a Linux virus scan using Bitdefender Antivirus Scanner for Unices, leave us a comment.